" Jon does all types of lawn and yard work very well and at reasonable cost. He can be depended on for both the quality and scheduling of his work. I have and will continue to refer him to friends and family with confidence that he will provide quality work and excellent business practices." 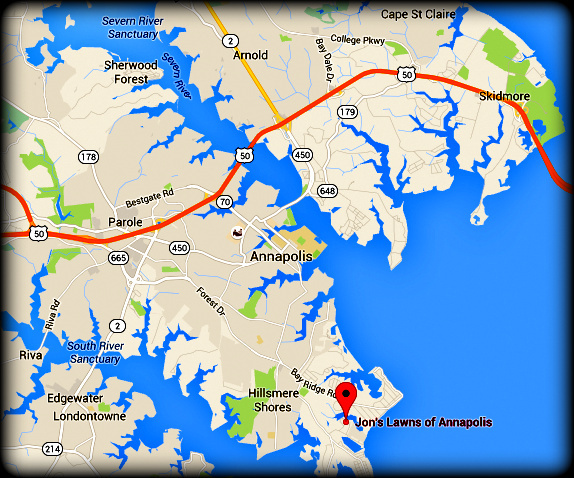 Jon's Lawns of Annapolis customers requested an all-inclusive, custom program to cover all of their lawn and property's needs throughout the year. LawnStrong was created for that purpose. Your personalized program will give you the peace of mind that everything is taken care of, to your expectations, in the best interest of your lawn and pr﻿operty's health and appearance, and performed at the correct time of year. Each individual property has unique needs and that is why a consultation and custom program is required for optimal results. ﻿Contact Jon﻿ anytime for your own LawnStrong consultation and plan.